Though you may enjoy spending time outside during a New Jersey winter, most people can agree that coming home to a warm home is a necessity. Dynamics Air Conditioning & Heating Mechanical Service is here to make sure that your Philadelphia home is a welcoming place to step into. 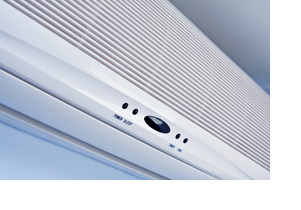 Whether you are looking to keep your home comfortable or ensure that your office is ready for a busy workday, Dynamics Air Conditioning & Heating Mechanical Service has 30 years of experience to make sure that you get through winter with ease. Has your furnace or boiler been repaired in the last year? If so then it is a good idea to have them inspected. If one part of your Philadelphia furnace or boiler has required repairs then the possibility is high that other parts will need to be repaired or replaced. It is highly recommended to have your heating systems inspected and serviced regularly because no one wants to be left out in the cold as they wait for the technician to arrive. Dynamics Air Conditioning & Heating Mechanical Service is a BPI Certified building analyst- here to help you get the most out of your HVAC systems. Do you find that a fair amount of your monthly earnings go towards your energy bill? This could be for a number of reasons- not just your HVAC. The issue could be that you have some faulty wiring, you are using appliances that are past their prime or perhaps it is that you leave your chargers in when you are not using them (yes they do use electricity when they are not charging appliances), to name only a few. If you have an older HVAC system then there is a high chance that your energy consumption issues stem from that. We can help you pick out and install an Energy Star model which will greatly decrease the cost of heating or cooling your Philadelphia home or business. With energy efficiency saving you money there is no reason not to go green. If you would like your home assessed by our building analysts, thinking about getting a new heating system or if your system needs repairs then give Dynamics Air Conditioning & Heating Mechanical Service a call.